Traveling teen snowboarder, track athlete and Freejourner. 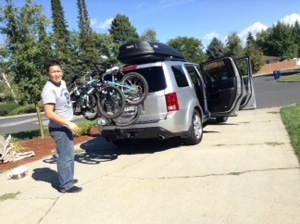 We’re saying goodbye to Spokane, Washington, and we’re all packed up and ready to go! We’re going to Idaho today, about 8 hours of driving. Spokane has been great, as you can read in my previous post. 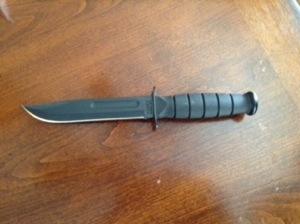 Isaac got his Ka-Bar knife, it looks very deadly. I went to check up on my Geocache today, and it was gone!!!!!! We found a fort close by and took back what was ours (no cache container though). I’ve found so many Geocaches here, about 30-40! As soon as I get to Wifi, I finished my new 3 minute Stop motion, and I am going to upload that and a Our Trip slideshow I made in iMovie. We’re off to Idaho! Goodbye Spokane, Washington! My cover of “Carol of the Bells” on keyboard. Relatively simple cover, but it’s okay. Merry Christmas! Tried drawing Spider-Man from the new movie today. Turned out pretty good, I think.